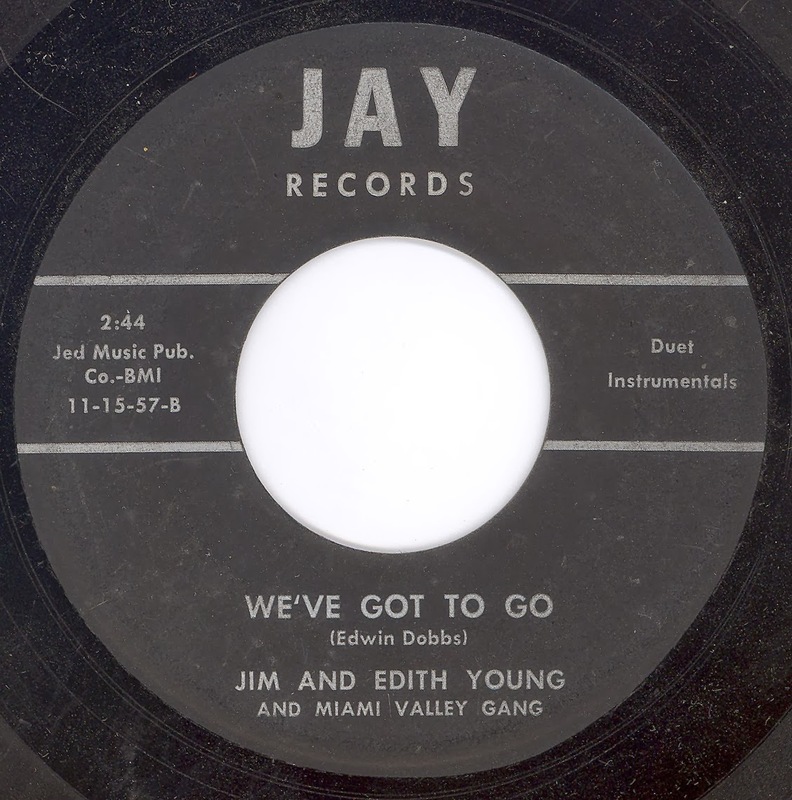 Jim and Edith Young owned JAY Records which was located in Sidney, Ohio. Sidney is in an area of Ohio known as the Miami Valley because the Great Miami River flows through it. 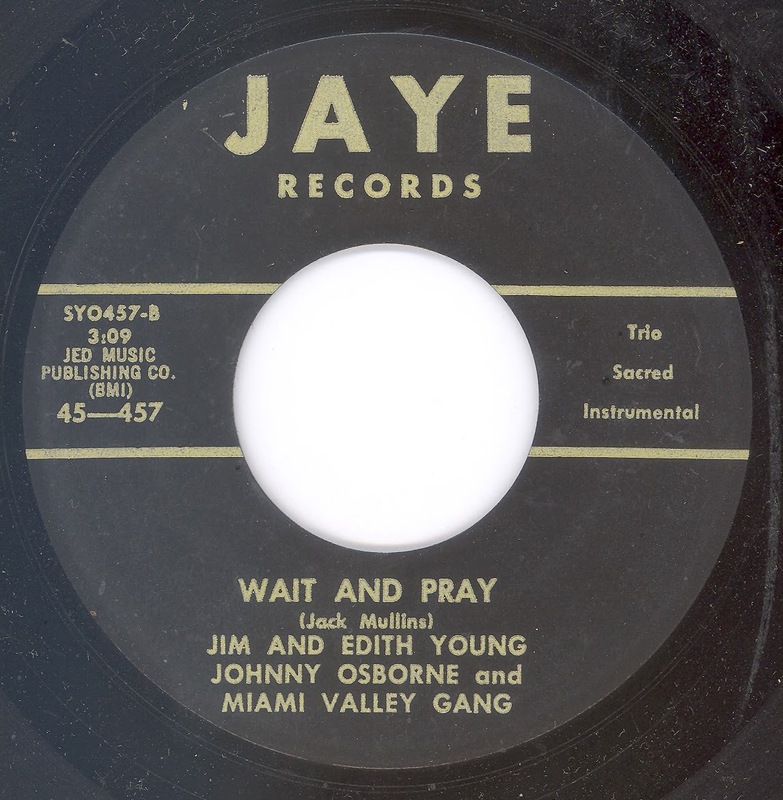 I believe that this is where the name Miami Valley Gang came from rather than any Florida connection (Mac McDivitt). My thanks to both Mac, and Bob for pointing out the geographical juxtaposition of Sidney, Ohio, and The Miami River Valley. 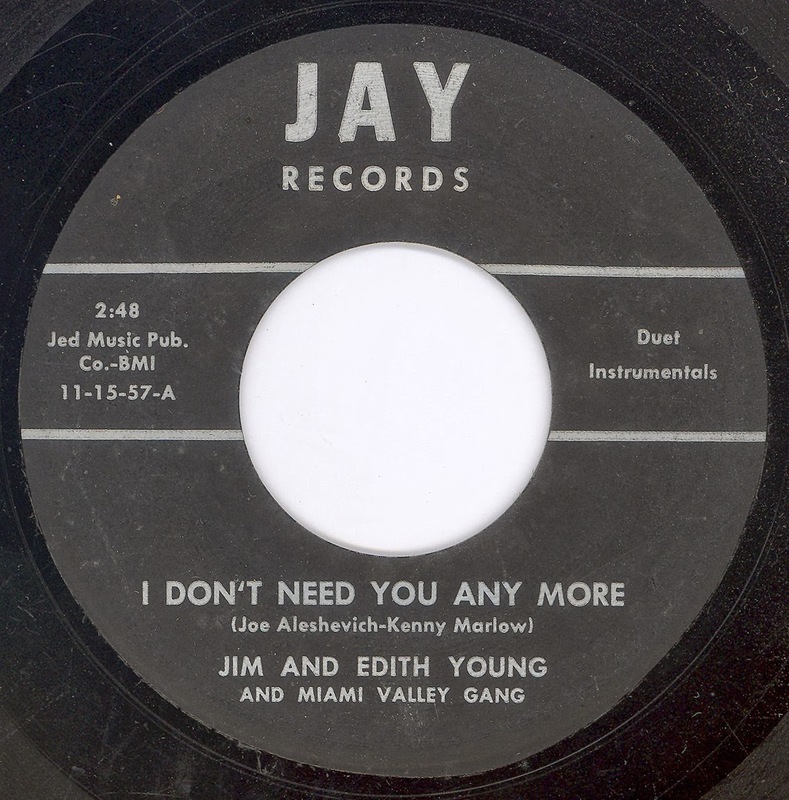 Having uploaded a couple of sides by Jim and Edith Young I thought I might feature a few more of their recordings, here are a couple of their JAY releases, albeit on one release the label's name was misspelt, JAYE rather than the usual JAY. 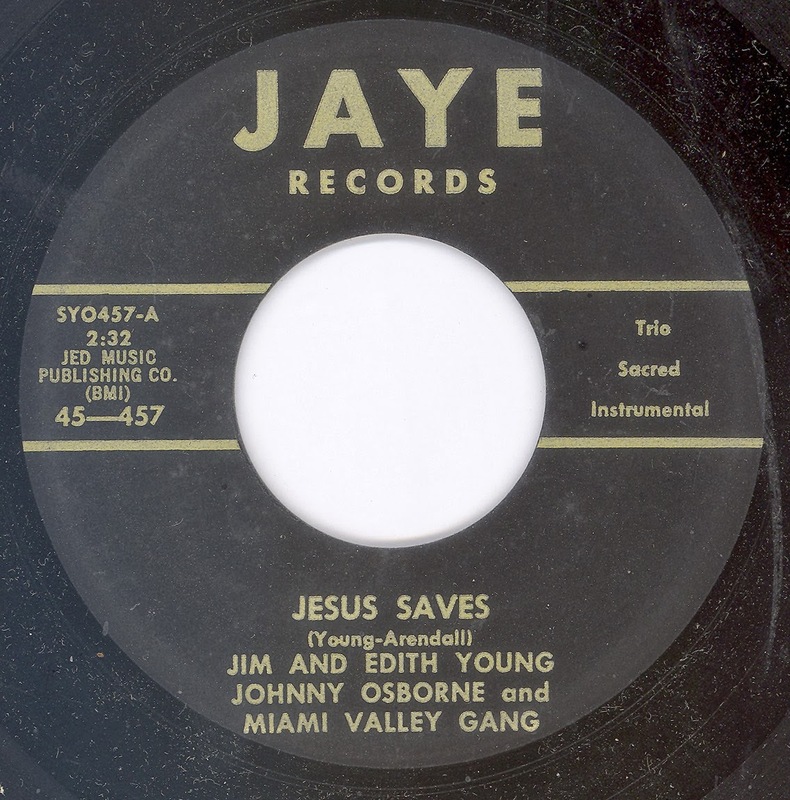 Their gospel offering here is much better than I remember, certainly far superior to their LORIDA efforts. LONDON 16000 SERIES - A CONUNDRUM!